Recommended to: Readers who loved the first book, and are looking for more of Runa's story! Well, I can definitely tell you all right now that this second book does not suffer one bit from "middle book syndrome". 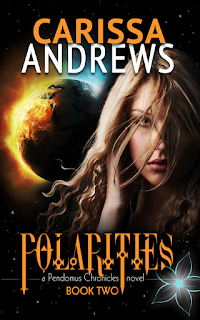 If anything, Polarities has secured my interest in Andrews'beautiful Sci Fi adventure. If you read my first review, you probably know that I was pretty excited for this sequel. After falling in love with Runa, and finding myself entrenched in mythology surrounding her home, I couldn't wait to dive back in. I'm pleased to announce that it was well worth the wait. 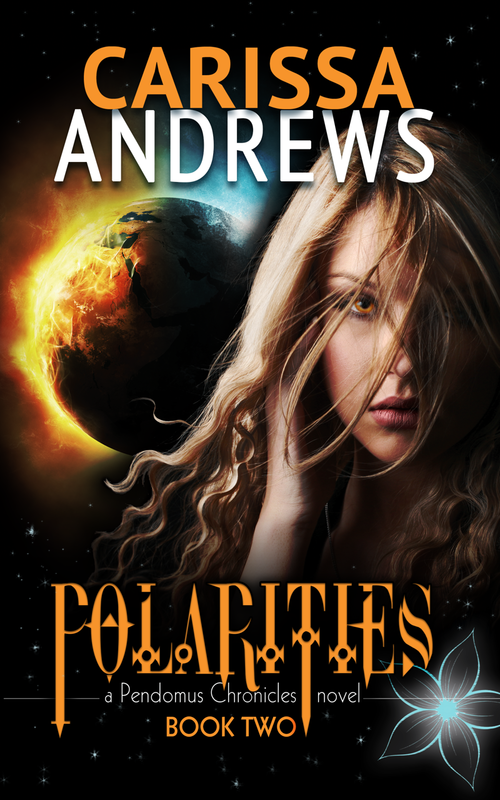 Polarities picks up right where the last book left off, with poor Runa struggling to understand her newest predicament. I immediately remembered why I adored her so much, as I watched her strength and wit start to come back to her. Much like the first book, it takes a few pages to settle back into the groove of things. However once I had taken a few moments to reorient myself in Runa's world, I was ready for everything that came next. Adventure, mystery, danger and, of course, that amazing character growth that I was looking forward to. This book is also dual narrated between Runa and Traeton but, quite rightly, Runa gets the majority of the spotlight. Navigating the trials that are thrown at her, almost constantly, makes for intense reading. I enjoyed the new characters that were introduced, loved that some of the older characters were more fleshed out thist time around, and did a bit of tearing up for the ones that we'd lost. Better still, Runa's true powers start to come to the surface here. I always knew that she was a strong individual but man, there was so much more to learn. By the ending I was slack jawed, and so ready for the next book! I'll admit, I'm really impressed with Polarities. It shines, even as a sequel, and really pushes the story forward beautifully. You can tell that Andrews' has put a lot of love into Runa's journey, and the ending will probably leave you with the same sense of longing that I had. Once again I'll say that if you are looking for a fun and easily accessible Sci Fi series, this is it! I'm ready for more.